Blu-ray put in the shadow? 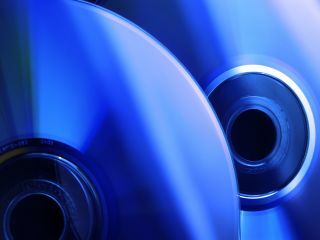 Discs that can hold thousands of feature films will be available within five to 10 years according to the Australian scientists who have developed 'five dimensional' storage. The method of storage will mean that a disc can hold 140 times the information a current Blu-ray disc can, with the prototype holding 1.6 terabytes, but with the potential to go up to 10TB. Currently spinning media looks at spatial dimensions, but scientists have demonstrated how colour and light polarisation can be used to expand storage. "We were able to show how nanostructured material can be incorporated onto a disc in order to increase data capacity, without increasing the physical size of the disc," said Prosessor Min Gu of Swinburne University of Technology in Melbourne. The report on the disc, which is in the journal Nature, explains how gold nanorods were used to manipulate light in order to be able to store information at different angles. "Polarised light only 'sees' and records on a subset of the nanorods," adds James Chon. "Change the polarisation and you can record on the same volume as though it is a whole new recording medium."